Larry Nixon calls Lake Ouachita "one of the hardest lakes to fish in the daytime in the summer." Want to catch a limit at Lake Ouachita in August? Good luck. 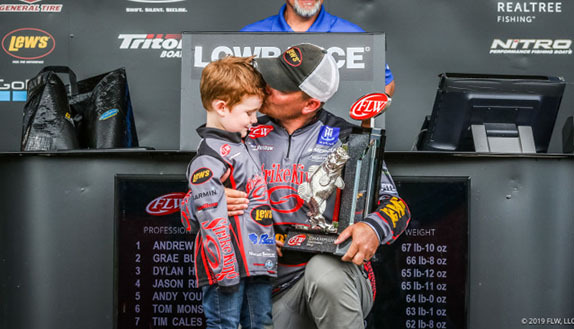 In three previous Forrest Wood Cups at Ouachita, it�s been less than a 50-50 proposition when it comes to bringing five keepers back to the arena in Hot Springs, Ark. Out of 448 man-days of Cup competition at Ouachita, there have been 213 limits recorded � a 47.5 percent rate. Those 213 limits have weighed an average of 11.112 pounds or roughly 11-02. Of the 213 limits caught at Ouachita in the Cup, less than half (104) would be considered above average. In a championship event where there�s no entry fee, everyone gets a paycheck, the winner takes home $300,000 and earns an automatic berth in the following year�s Cup, on-the-water strategies are different than those utilized during a regular points event. Limits aren�t necessarily the primary focus � �finding the right five bites is what it�s all about,� anglers preach � but it sure helps to have a full livewell when pulling up outside the Bank of the Ozarks Arena. Catching five in August at Ouachita is easier said than done. Water temperatures can frequently push into the 90s and the clear water can make the prospect of a limit pretty daunting. Capitalizing on any and all bites is paramount with the stakes as high as they are. At the 2007 Cup, nobody logged a limit all four days, but winner Scott Suggs, who finished with 17 fish, was the lone competitor to have a limit each of the first three days. Only 11 of the 81 competitors (13.5 percent) had limits on each of the first two days and eight of them made the top-10 cut to fish the final two days. In 2011, the fishing quality improved dramatically with limits logged 63 percent of the time. Of the 58 anglers, 26 notched limits on both days 1 and 2. Of the 20 anglers who made it to day 3, eight recorded limits each day. Four of the 10 finalists, including winner Scott Martin, had limits all four days. The 2015 Cup featured a 50-man field, six fewer than this year�s field, but limits were still largely a coin flip. Half of the 20 anglers who competed on days 1-3 had limits each day, but four of them failed to advance to the final day. Four of the 10 finalists finished the week with 20 fish to their credit, including winner Brad Knight, the lone angler to crack the 50-pound mark that week. With the Cup going to a three-day format last year, the value of limits is likely to increase this week at Ouachita as anglers will have one less day to recover from a stumble. Suggs says the reason it was hard to scrape together five keeper bites in 2007 was the lake was still rebounding from the Largemouth Bass Virus that hit around the turn of the century. 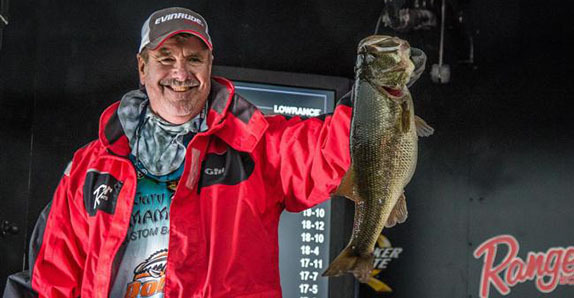 Now, he added, it�s a different lake with a healthy population of largemouth and a growing number of spotted bass that could be an x-factor next week. 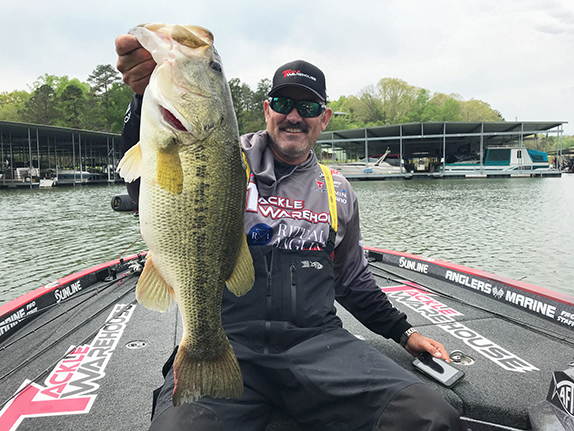 While a limit is among the objectives for Cup competitors, Ouachita does allow for the possibility of catching a decent weight without having a full livewell. In the three previous Cups, there have been six stringers that didn�t include five fish, but weighed more than the average limit (11-02). 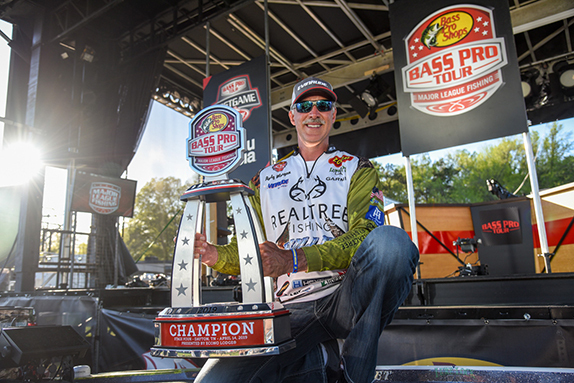 Nixon, who has caught four limits in eight days of Cup competition at Ouachita, said the 2015 Cup illustrated Ouachita�s chameleon-like personality. By the middle of day 1, he felt his chances to win flipping were only going to improve. By day�s end, he was left scratching his head. The rest of the tournament followed the same course. He had limits on days 1 and 2, but had four apiece on days 3 and 4. �By 11 a.m. on day 1, I had four good ones and lost one so I flipped the rest of the day, but I never got another bite. It was like it was totally over,� he said. �On day 2, I ran to a spot right away that I thought would still have some night feeders left around it. Boom, boom, boom, I catch three good ones. The rest of the day, I got one bite and none like how I caught them on day 1. On the third day, I caught nothing early and finally caught a small spotted bass. At 1 p.m., I decided to pick up a topwater and go off the wall and I catch three, including two good ones. 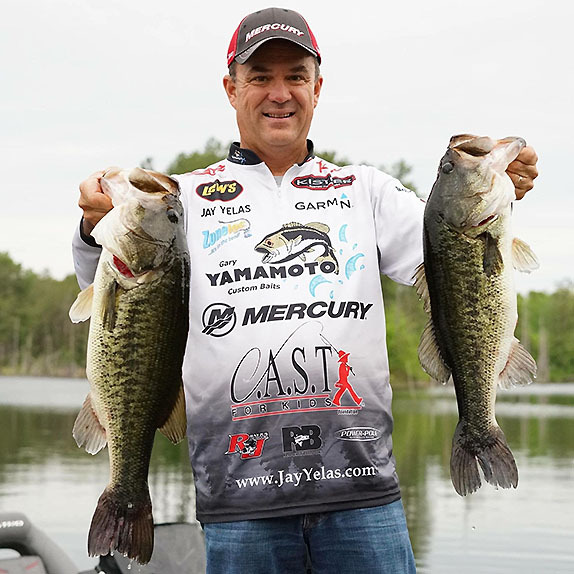 For Jay Yelas, catching a limit at Ouachita is like playing the hardest version of Sudoku. The lack of current moving through Ouachita also makes it tougher, too. �Even the lakes on the Tennessee River, if they don�t move water in August, it�s tough. It�s just how the fishing is,� Nixon added. Yelas has logged seven days of Cup competition at Ouachita and caught limits on three of them, including a 17-05 effort on day 1 in 2011. Over the next two days, he combined to catch five fish total for 17-15. To Yelas, Ouachita is a great venue for the Cup because of the variety of challenges it presents. �It�s just random tough fishing, but if you can come up with five it�s a pretty good day, which is odd because it�s full of fish,� he said. �One reason it�s tough is the clear water. Some of the toughest conditions are hot, clear water. No matter where you go it�s not easy fishing. They�re either deep or you catch them on topwater, or if you find stained water you can catch them shallow. When the bites aren�t coming fast and furious, making sure to land everything that bites is critical in a high-stakes tournament like the Cup. Yelas has experienced his share of highs and lows at Ouachita. In 2011, he had three for 10-14 on day 3 and missed the top-10 cut by two pounds.